Should i file for bankruptcy? If so, how do I file for bankruptcy? Should I file for bankruptcy? How do I file for bankruptcy? Student Loans. Credit Card Debt. Divorce. Bad Business. Get answers. Filing Bankruptcy May Or May Not Be The Answer For You. Filing bankruptcy might seem like the quick and easy out of the sticky situation you are in especially if you have a lot of debt under your name. You have probably heard from the news or from people you know that filing bankruptcy is a breeze and after the filing, you will be literally be freed from the debt you have incurred over the years. It is all true, that filing bankruptcy is not terribly difficult to do, and that your debt will be wiped clean post bankruptcy proceedings. But you should also be made aware of the consequences of filing for bankruptcy protection. It is not a get out of jail free pass, like what you have in the game of monopoly (initially made popular by Parker Brothers, which was eventually sold to Hasbro), but it is a serious decision that you have to take time to review and make sure that this decision is truly for you, and your family if you have one. If you actually have the means to payback your creditors in reasonable amount of time, then I strongly believe you should consider paying off your creditors and not file for bankruptcy protection. Talk to your creditors and work out a deal. Tell your creditors that you can pay them 50 cents on the dollar, hence cutting your debt obligation by 50%. Tell your creditors that you have limited funds to pay them back and the last thing you will want is to resort to filing for bankruptcy protection. Generally speaking the creditors, in this economic situation, will be happy to take 50% of the debt that is owed to them than nothing at all. Before you call your creditors, have a number in mind that you want to negotiate with the creditors. If you think you can pay for 75% of the debt, then start out by asking to pay back only 50% of the debt. It is a negotiation, and the creditors will try to retain as much payback as possible. Ideally if you have the means to pay back (even if it is just a portion of the debt that you owe) the creditors, you should try as much as possible to pay back the creditors. The consequence for filing bankruptcy is that you will have the record that you have filed for bankruptcy for the next 7-10 years in your credit history. Having the mark that you have filed for bankruptcy means that you will have poor credit history and poor credit score for an extended period of time. It is true that you can repair your credit history and credit score, but it is a long and tedious task which require a lot of time and dedication. Why Many People File For Bankruptcy And How They Do It. Inevitably during your lifetime, you are bound to make a mistake or two. This mistake can be small, or it can so big that it can be literally life changing. Little mistakes such as forgetting about your spouse’s birthday can easily be forgiven, but if it is a life changing mistake such as poor judgment for managing your finances can lead to a need to file for bankruptcy protection. As important as this turn of event is, if you had to do over again, it is conceivable that most people will not put their financial health in jeopardy again. So what got you into this financial mess and what do you plan to do post bankruptcy that will help you in the future? A good percentage of those who had to file for bankruptcy protection got into this sticky situation because of poor financial planning. Poor financial planning can include many scenarios. One such scenario can be if you are buying a house but you really cannot afford it. For example you are taking home $3,000 per month from work, and you ended up buying a house that you will need to pay $2,000 per month. It is literally impossible to live off $1,000 per month, if you are spending 66% of your take home pay on just the house itself. A good rule of thumb is not to spend more than 30% of your income on housing expenses. Another reason a lot of people ended up filing for bankruptcy protection is when they live outside of their means. This means that they do not watch what they are spending. In the past, it has been so easy to get a credit card that people tend to forget that charging on the credit card does not imply that you do not have to pay for the service or merchandise. Incurring credit charges just prolong the time that you have to pay for the expenses. It is a useful tool to help you purchase that new TV that you have always wanted. But you should also be mindful that you can pay for that the TV in reasonable amount of time. If you really cannot pay for the TV, like most people who had to file for bankruptcy, then refrain from taking out that credit card for this impulsive purchase. The majority of the people who had to file for bankruptcy tend to abuse their credit cards. Some of these people’s situation even get so dire that they ended up living on the credit cards. It is already bad that they cannot pay for the balances on their credit cards, they would make the situation worst by relying their livelihood on the credit card. Some people would take out cash advance to pay for their daily living expenses such as food. Cash advance is one of the worst financial transaction one can incur in his or her lifetime. Not only is the finance rate on the cash advance astronomical, it is simply total stupidity to be basing your livelihood on cash advance. Some people will justify this action by promising that this is just a one time occurrence. But we all know better, once they get “hooked” on this type of living, they will always justify using cash advance as a way of living. 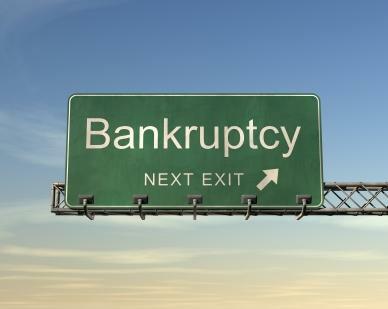 Remember, filing bankruptcy should bring your much financial relief. It is not a means for you to erase all your debt just to accumulate debt once the bankruptcy process has been finalized. Take this chance given to you and rebuild your life without the massive debt hanging over your shoulders each and every day. Look at this from the positive side at all times, instead of focusing on the negative aspects of filing for bankruptcy. If you are uncertain of what is involve in the bankruptcy filing, seek the advice of a local bankruptcy lawyer near you.